The ancient symbol of the Enneagram has become one of today's most popular systems for self-understanding, based on nine distinct personality types. Now, two of the world's foremost Enneagram authorities introduce a powerful new way to use the Enneagram as a tool for personal transformation and development. Whatever your spiritual background, the Enneagram shows how you can overcome your inner barriers, realize your unique gifts and strengths, and discover your deepest direction in life. Highly accessible, yet filled with sophisticated concepts and techniques found nowhere else, The Wisdom of the Enneagram is a strikingly new fusion of psychology and spirituality. It offers an exciting vision of human possibility and a clear map of the nine paths to our highest self-expression. Don Richard Riso, M.A., is one of the foremost writers and developers of the Enneagram in the world today. The most-published and bestselling author in the field, he is president of Enneagram personality Types, Inc., and co-founder of The Enneagram Institute. He has been teaching the Enneagram for over twenty years and is a founding director of the International Enneagram Association. His four bestselling books are available in British, German, Italian, Japanese, Chinese, Korean, and Spanish editions. He was a Jesuit for thirteen years, holds degrees in English and philosophy, was elected to the Jesuit honor society, Alpha Sigma Nu, and was a Ford Foundation Fellow at Stanford in communication (social psychology). Russ Hudson is one of the principal scholars and innovative thinkers in the Enneagram world today. He is executive director of Enneagram Personality Types, Inc., and co-founder of The Enneagram Institute. He has been co-teaching the Enneagram Professional Training Programs since 1991 and is a founding director and former vice-president of the International Enneagram Association. He assisted Don Riso in writing Discovering Your Personality Type and Enneagram Transformations. He is also the co-author of Personality Types (Revised Edition), The Power of the Enneagram, and of their forthcoming book, Personality Types at Work. He holds a degree in East Asian studies from Columbia University in New York, from which he graduated Phi Beta Kappa. 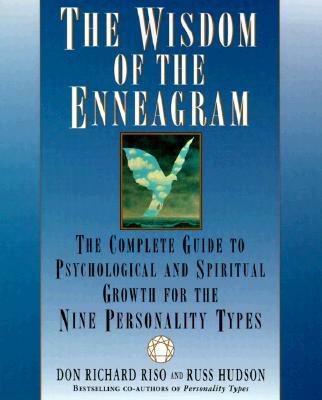 "The Wisdom of the Enneagram is a very important book. By combining the horizontal types of the Enneagram with a system of vertical levels of awareness, Riso and Hudson have produced one of the first truly integrated models of the human psyche. In addition to the importance of this pioneering work itself, it goes to point up the utter inadequacy of anything less than a full-spectrum model of human growth and development. Highly recommended." "I highly recommend this book, not only to anyone on the path of personal transformation, but to anyone who wants to understand the complex inner world of others, whether a spouse, family member co-worker or friend. The questionnaires were fun and illuminating. I received some very helpful information about myself, felt challenged to grow and experienced a deepening of compassion. Perhaps the most profound contribution of The Wisdom of the Enneagram is reflected in the word "Wisdom." The authors clearly communicate the complexity of human nature, the spiritual yearning resonant in all of us, and the ascending levels of our possibility. But they do not leave us there. They offer a clear path for personal and spiritual evolution." "Don Riso and Russ Hudson thoughtfully engage the richness and depth of the Enneagram, and conjure with its power as a tool of transformation. The Wisdom of the Enneagram is filled with its own wisdom and depth. You'll find yourself returning to it over and over again and discovering new treasures." "The Wisdom of the Enneagram is not only a clear and comprehensive description and discussion of this ancient personality typology, but also a major and original contribution to its use and further development. Don Riso and Russ Hudson have designed simple practical guidelines and tests that make it possible to determine one's own personality type and use this knowledge for healing and psychospiritual transformation."